Pink for HydratingLuLu Lun Pink is made for hydrating. It is good for all types of skin and reduces the dry skin. White for WhiteningLuLu Lun White is specially made for whitening and brightening. Good for oily to combination skin. Blue for extra MoisturisingLuLu Lun Blue has extra moisturizer, which moisturizes your skin deeply. It is good for dry to normal skin type. Maybelline is one of the most popular brands in the world and you can find it everywhere. When it comes about a budget cosmetics brand, Maybelline is the best one. It is a drugstore brand and I have bought this mascara from a Japanese drugstore called Wants. I really like this mascara because I don't use a lash curler and it curls my lashes properly. I think It was the cheapest mascara from Maybelline but works the best for me. Packaging It comes in a small, handy round bottle with rose gold shiny cap. The wand is curly which is made according to the corner of your eye. Pros It is waterproof and stays for a long time, ideal for summer. It curls your lashes without and curler. Really good for those who don't use false lashes. Makes Your Lashes look much longer. The curvy wand makes it easy to apply. Cons The only problem I have, that it stays for a very (I mean very) long time and doesn't get off easily. Here is my very first MAC product which I am using from a couple of weeks so now it's review time. I went to the MAC store to buy Studio Fix, but I bought select sheer pressed powder NC40 because it matched my skin so perfectly. First of all, I tried Studio Fix but it didn't match my skin so I tried NC40 which is a perfect face powder for my skin. 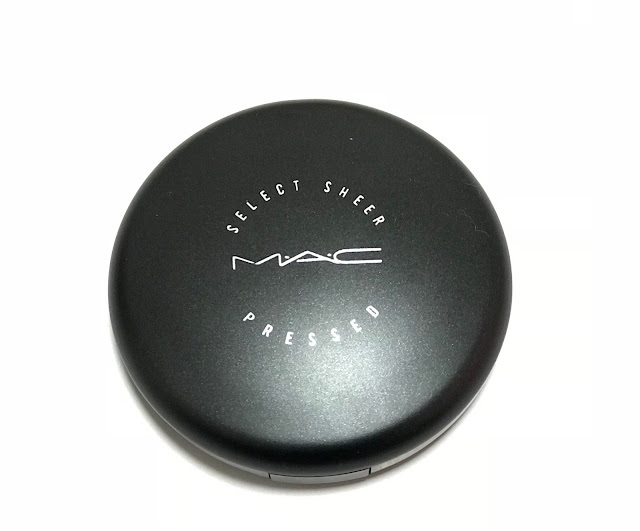 It comes in a black round MAC box with a circular mirror and a round powder sponge which is made by a black leather kind of stuff from the back and white soft cotton from the front, it looks so cute and cool. Do you also get pimples or any other skin problem during summer like me?. Summer leaves heat, which reacts on our face and we get so many skin problems like pimples, acne, blackheads, dark spot, etc. At this time, our skin requires much more care to keep it healthy. Today I am going to share my secret about how I get rid of pimples and other skin problem in summer. Himalaya Neem Face Pack We all know that Himalaya is an herbal brand and its products are made naturally. Himalaya Neem face pack, as you can guess by its name, it is made with neem which is actually very helpful to get rid of so many skin problems. Not only Himalaya, even all other products which are made with neem are very good for summer. Today I am going to talk about the Maybelline Pure BB Mineral Cushion. I got this product as a gift on my birthday. People will laugh at me if I will say that when I saw this cute box for the first time, I thought that it is a compact face powder (LOL) but then I realized that the box says cushion. I really love the packaging, the box and the color of the box, even from inside it looks beautiful. As you can see in the pictures, it comes with this turquoise box with a small puff which is very useful and very helpful to apply the product. The product says that it has a matte finish, it gives a very natural matte finish, it doesn't feel like a powdery matte, it looks natural after it gets set with the skin. It is matte so you don't need any setting powder and it also has a very good coverage so you "MAY" not need concealer (I'm exactly not sure, depends on the person). I wanted to post this blog for a long time but due to some reasons, I could not post. This is one of my best memory in Japan and also very special to me. I am wearing a Japanese Kimono which is very special to me. The lady who owns this Kimono is actually my Japanese teacher, but she calls me her Indian daughter and I call her my Japanese mother. She wore this Kimono when she turned the twenty, and her daughter wore the same Kimono when she turned twenty. Japan has a very old tradition for women, they wear Kimono when they turn twenty as their twentieth ceremony, that's why this Kimono is very special. My Japanese mother wanted me to wear her own Kimono when I was new to Japan. She is a very kind, humble and very nice person. Apart from my mom, she is the best lady I have ever met in my entire life, I can not explain her in the words, but I really adore her. Jumpsuits are always the best outfit for summer because they are so comfortable and look stylish. They are very easy to carry and they don't make a mess while you are wearing them. Some of them are so casual and some of them are so classy, but they all look good when someone puts them on. They also come in various sizes and length so it depends on your mood, what type of jumpsuit you are going to wear. They also can be in different designs, patterns, and material. Some people like to wear cotton jumpsuits, some like to wear synthetic. They also come for different occasions like a day or night, office or party. Since I am living in Japan, I realized that I got some black round patch type of spot on my upper cheek area, so I went to a skin clinic, which is called an Oyama skin clinic. I talked to the doctor and the doctor said that I got these spots because of the sun rays and I need to protect my skin from the sun. I realized that when I was in India, I always used to apply sunscreen and wearing sunglasses before going out, but here I don’t do such things and don’t protect my skin from the sun. The doctor recommended me these skin care products from NOV. So today I am going to share my experience with a doctor’s recommended product and how I like these products.